Strengths: Bure had many of the same electrifying traits as his older brother, Pavel. “The Pocket Rocket” was as good at creating plays as he was at scoring timely goals. He had one of the NHL’s most dangerous slapshots. Weaknesses: Bure played best as a supporting player on talented teams, but he was not always dependent when entrusted with being the primary offensive threat of a team. 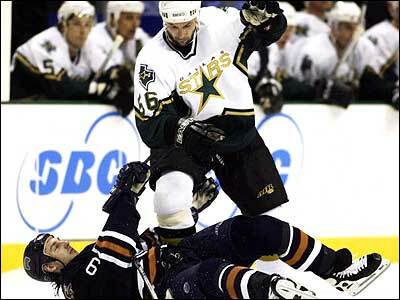 Valeri also was also prone to injuries from NHL’s physical game and retired very early. Strengths: Kamensky was one of the best forwards that developed in the Soviet Union in the 1980s. His playmaking and sniping abilities carried over successfully to the NHL, where he was one of the fastest skaters. Weaknesses: Kamensky played best with equally talented linemates, but struggled when he had to lead a team. Despite his strong efforts, he did not develop into a great all-around forward. Biography: Valeri Kamensky grew up and began his hockey career in Voskresensk, a small city in the Moscow Region that has raised several hockey stars, including Igor Larionov and Vyacheslav Kozlov. Like Larionov, Kamensky developed with the Khimik sports club and after a few seasons moved to CSKA – the country’s top club. 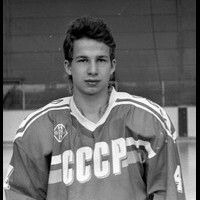 In 1985, he was a member of the bronze-medal Soviet team at the World Junior Championship and in the following year won the gold medal with the team. In the late 1980s, Kamensky became one of the top scorers for both the Red Army team and for the national team. He primarily played on a line with Vyacheslav Bykov and Andrei Khomutov – the Soviet Union’s top scoring threat after the famous Krutov-Larionov-Makarov troika. With Kamensky, the Soviet Union won World Championship gold medals in 1986, 1988, 1989, and 1990, a silver medal in 1987, and a bronze in 1991. At the 1991 World Championship, he was named the tournament’s top forward. Kamensky also had memorable performances at the 1987 Canada Cup, where the USSR finished second, and the 1988 Olympics which the team won. 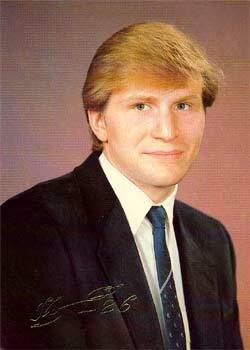 While he was with CSKA, his team won four consecutive Soviet championships from 1986 to 1989. Kamensky was named the top Soviet hockey player in 1991. Although he was drafted by the NHL’s Quebec Nordiques in 1988, Valeri had to wait until 1991 to play hockey in North America. By the time he left CSKA and Russia, he had a rank of First Lieutenant and was decorated with a Medal for Labour Valour. With the Nordiques, Kamensky was playing at near point-per-game pace in his first few seasons and was one of several European stars on the team, along with Swedes Mats Sundin and Peter Forsberg. For the duration of the 1994-95 NHL lockout, Kamensky joined Ambri-Piotta of the Swiss league. The following season was the most successful not only for the Nordiques (which moved to Colorado and became the Avalanche), but also for Kamensky. He scored a career-high 38 goals and 85 points and added 22 points in the playoffs, with his team winning the Stanley Cup. With this victory, Valeri was one of the first Russians (with teammate Alexei Gusarov) to join the rare Triple-Gold club of players who have won the World Junior Championship, the World Championship, and the Stanley Cup. 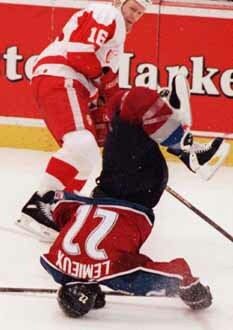 Kamensky maintained a high-scoring rate in the next two seasons and his dangling goal against Panthers keeper John Vanbiesbrouck was selected the best goal of the 1997-98 season. That year, Kamensky also played for Russia at the Nagano Olympics, where the team lost in the gold-medal final to the Czechs. In 1999, Kamensky signed with the New York Rangers and in 2001-02 played his final NHL season for the Dallas Stars and the New Jersey Devils. At this point, he was a supporting rather than a top-line player and was scratched from the lineup on a regular basis. He announced his retirement in 2002, but the next year returned to Russia to play for the club where he began his career – Khimik. Kamensky had a productive final season in 2004-05, scoring 17 goals and not missing any games. Kamensky is currently a board member of the Kontinental Hockey League and is chairman of the league’s disciplinary committee. He is also a noted collector of autographed hockey sticks. Strengths: Zhitnik was one of the best all-around defencemen of the last two decades. He had great mobility on the ice and usually played against the opposing teams’ top lines. Zhitnik was also a good playmaker and point man on the powerplay. Weaknesses: Zhitnik’s speed, physical play and defensive reliability had been declining in his last few seasons. When attacking, he was prone to making risky plays leading to turnovers. Biography: Born in Kiev, Zhitnik developed into a hockey player with the Sokol sports club. At age 18, he drew attention from the NHL due to his speed and strength (Zhitnik was nicknamed “elephant” because of his powerful legs) and was drafted by the Los Angeles Kings. Like the majority of especially talented and promising young hockey players in the Soviet Union, Alexei was transferred to the Central Red Army team in Moscow. 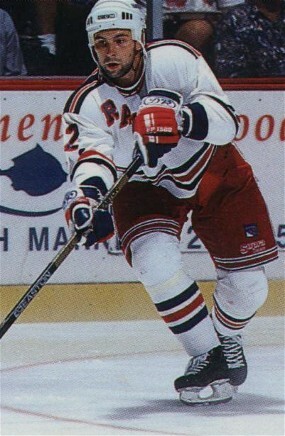 He played well enough to play not only at the 1992 World Junior Championship, but also at the Olympics in the same year. At both tournaments, Russia (or CIS, as it was known then) won gold. In the summer of that year, Zhitnik made the shocking transition from Russian life, where foreign jeans were a luxury, to sunny southern California. In his first season in the NHL, Alexei’s team (led by superstar Wayne Gretzky) made it all the way to the Stanley Cup final, but lost to the Montreal Canadiens. After another season and a half in L.A., Zhitnik was traded to the Sabres. He continued to be involved with the national team, being called to represent Russia at the 1996 World Championship (where he was named the tournament’s best defenceman), the 1996 World Cup, and the 1998 Olympics (where Russia won silver). In Buffalo, Zhitnik was one the pillars of the Sabres’ rise in the late 1990s. Alexei once again came short of being a Stanley Cup champion when the Sabres lost to the Dallas Stars in the 1999 playoff finals. In 1999 and 2002, he was invited to play at the NHL All-Star Game. Zhitnik joined fellow stars Ilya Kovalchuk, Alexei Kovalev and Nikolai Khabibulin in playing for Ak Bars Kazan during the 2004-05 NHL lockout. He did not return to the Sabres when the NHL resumed, signing instead with the New York Islanders. Although he was still a reliable minute-eating defenceman, Zhitnik was traded twice in the 2006-07 season, moving from the Islanders to the Flyers to the Thrashers. In 2007, when he was a Flyer, Zhitnik became the first Soviet-born defenseman to play 1000 games in the NHL. In 2008, Atlanta bought out the remaining year of his contract and Alexei returned to Russia to play for Moscow Dynamo. 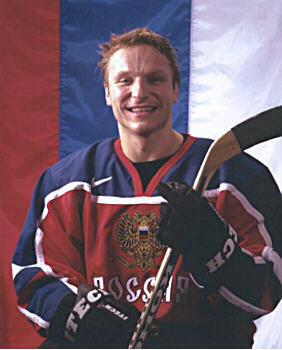 That year, Zhitnik played for the national team for the first time in eight years, captaining Russia at the Karjala Cup tournament of the Euro Hockey Tour. He was named captain of Dynamo for the 2009-10 season. This was Zhitnik’s last season of playing hockey. Weaknesses: Sometimes Kasparaitis got carried away targeting opposing teams’ players and took a lot of costly penalties. His offensive skills did not develop to the level expected when he started his NHL career. Biography: Lithuania produces few hockey players, let alone stars. When Darius joined the Dynamo club in Moscow, he became the first Lithuanian to play in the Soviet Championship in over thirty years. He debuted with Dynamo at the age of sixteen and was a member of the back-to-back championship teams of 1991 and 1992. Kasparaitis also had a significant international career. His awards included an all-star berth at the 1990 European Junior Championships, a silver medal at the 1991 World Juniors, a gold medal and best defenseman award at the 1992 World Juniors, a gold medal at 1992 Olympics, a silver medal at 1998 Olympics, and a bronze medal at the 2002 Olympics. All that Darius is missing is the Stanley Cup. When he played for the New York Islanders in the mid-1990s his team often missed the playoffs. On the Pittsburgh Penguins, Darius found more success playing alongside stars such as Jaromir Jagr, Mario Lemieux, and Alexei Kovalev. 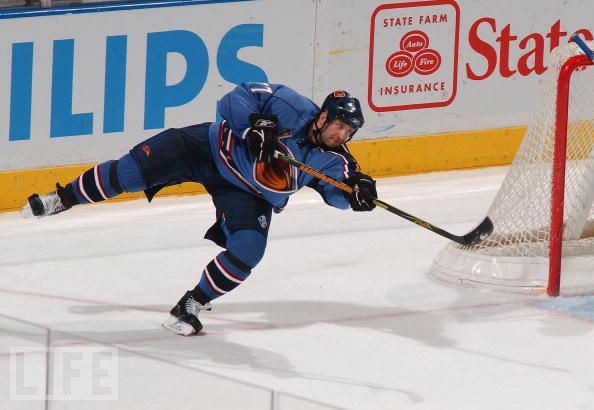 During a 2001 quarterfinal playoff series against the Buffalo Sabres, Darius scored the biggest goal of his career – in overtime of game seven. In 2002, Kaspar had a short stint as a playoff rental for the Colorado Avalanche before being signed by the New York Rangers. During the 2004-05 season, he played on the star-studded Ak Bars Kazan team in Russia. 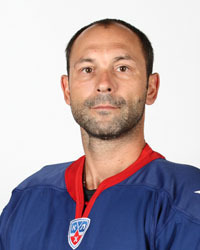 After a decrease in productivity in the NHL and a few conditioning stints with the Rangers’ farm club in the AHL, Kasparaitis was loaned to SKA St. Petersburg of the Russian Superleague in 2007. Despite being such a menace on the ice, Darius has a soft side too. For every player whom he injured, Darius prayed. With his wife Irina he donates equipment to hockey schools in Lithuania. Once retiring as a hockey player, Kasparaitis was quick to make use of his colourful personality and is now an assistant coach for SKA. Strengths: Alexei Zhamnov played like a prototypical Russian center – patient, skilled with the puck, and with excellent passing abilities. He scored many impressive goals in his career. Weaknesses: Despite his size, Zhamnov was not physical enough. Also, with his talent, he sometimes didn’t play to his full ability when under pressure. Biography: As a boy, Alexei Zhamnov was an average student and not very disciplined. He had a fun childhood with hockey being his #1 passion. He was lucky to be noticed by a trainer from the Dynamo organization when practising in a backyard. Alexei was invited to the Dynamo sports school, where he developed his hockey skills and was a productive center. He was drafted to the NHL in 1990, but left two years later, after earning three Soviet league championships with Dynamo (1990-92), a silver medal at the World Juniors, participation at the Canada Cup, and gold medals at the 1991 World Championship and the 1992 Olympics. The Alexei arrived in North America as one of the best young Russian forwards. 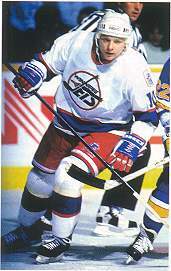 On the Winnipeg Jets, he enjoyed being the playmaking centre to star snipers Keith Tkachuk and Teemu Selanne. On April 1, 1995, Zhamnov scored five goals in one game and finished third in NHL scoring that season. 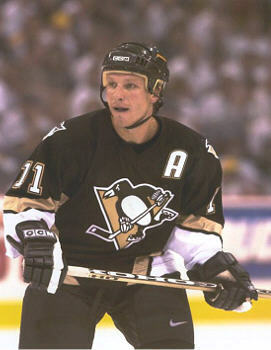 Next year he was traded to the Chicago Blackhawks in exchange for fan favourite Jeremy Roenick. Zhamnov felt the pressure to be as great a player in Chicago. 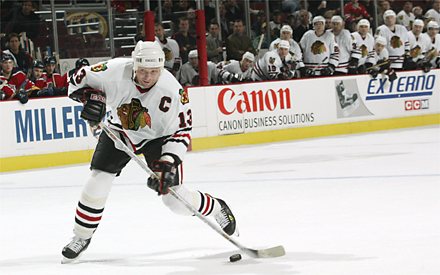 In 2002, Alexei became the first European captain of the Blackhawks. Unfortunately, Chicago made the NHL playoffs only once with Zhamnov. Internationally, Zhamnov played for Russia at the 1998 and 2002 Olympics, winning silver and bronze medals in addition to his gold from 1992. He later hinted that he was done playing for Russia. In 2004, Zhamnov was traded to the Philadelphia Flyers, where he was a crucial part of their offense. 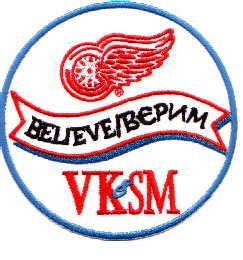 During the NHL lockout, Zhamnov played for Vityaz Chekhov in Russia’s second league. He was briefly a Boston Bruin before retiring due to injury. Alexei then returned to Russia to be the general manager of Vityaz, a position he retains to this day. Strengths: In his prime, Konstantinov was one of few players who would use his physical force to help his team in any situation. Despite contributing valuable offense when needed, Konstantinov will always be known as one of the most punishing and selfless defensemen to play hockey. Weaknesses: Some of Konstantinov’s dirty play led to his nickname “Bad Vlad” as he accumulated some costly penalty minutes for his team. Biography: Born in the Arctic port city of Murmansk, Konstantinov moved to Moscow at the age of 16 to enrol in the Central Red Army’s Olympic School. With hard work, he joined the Soviet Union’s leading hockey team, CSKA, at the age of 17. Despite being a stay-at-home defenseman, Konstantinov also developed his offensive game with the Red Army club. In a new era when more and more Russian players were moving to North America, Konstantinov saw the NHL as a natural fit where he could freely use his physical skills. He first caught attention of NHL clubs at the 1987 World Junior Championship, where he demonstrated his fighting skills during the infamous brawl between the entire Soviet and Canadian teams. 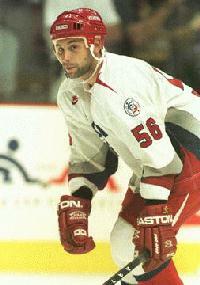 Konstantinov was also on three gold-medal World Championship teams. 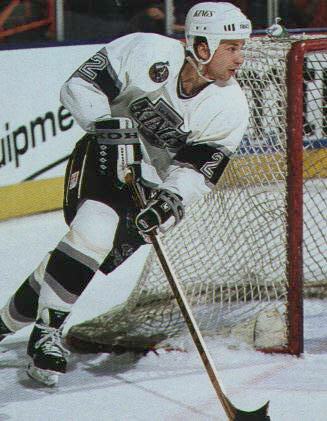 Drafted by Detroit, Vladimir made a strong impact in his first season and was named to the NHL’s All-Rookie Team of 1992. His hard-hitting and often-penalized play gained him a reputation as one of the most feared yet respected defenseman in the league. 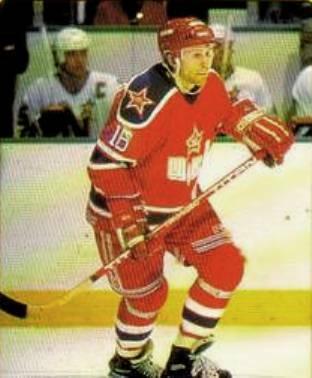 During the 1994 NHL lockout, Konstantinov briefly played for Wedemark in Germany, where he averaged 2 points per game. In 1995-96, Konstantinov’s excellent +60 plus/minus campaign was one of the reasons for Detroit’s record-breaking season. Konstantinov clearly found his niche playing as part of the “Russian Five” unit with Sergei Fedorov, Slava Kozlov, Igor Larionov, and Slava Fetisov (his partner on defense). 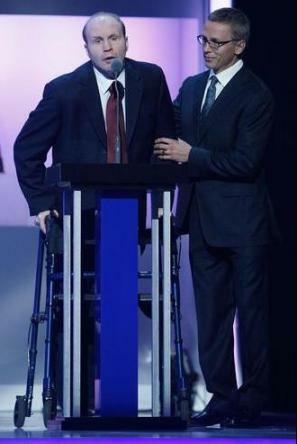 In 1997, “The Vladinator” was the runner-up in voting for the Norris Trophy – given to the best defenseman in the NHL. 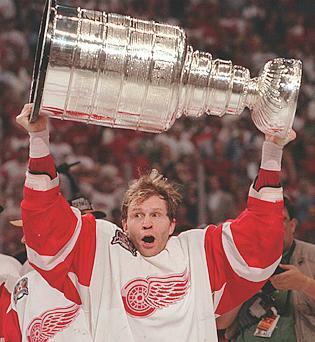 On Friday, June 13, 1997 – six days after the Wings won their first Stanley cup in 42 years – Konstantinov, Fetisov and team masseur Sergei Mnatsakanov were riding in a limousine whose driver fell asleep at the wheel and led to a serious crash. Fetisov received minor injuries, but Konstantinov and Mnatsakanov were less fortunate; both suffered severe head injuries and were in a coma for weeks. Vladimir was confined to a wheelchair and had to re-learn basic movement skills. The support from his team was unconditional. Teammates brought him the Stanley Cup, spent lots of time with Vladimir, and won another Stanley Cup in 1998. Upon receiving the Cup, team captain Steve Yzerman immediately placed the prize on Konstantinov’s lap. In a wheelchair, Konstantinov did a victory lap with his teammates. Vladimir knew what was happening and his smile showed that he was having a good time. In 2002, when the Wings became champions again, Konstantinov was there to lift the Cup too. 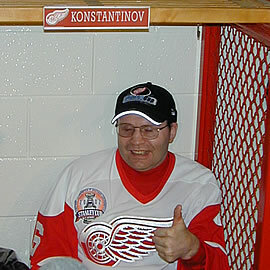 Today, Vladimir retains his own locker in the Red Wings’ dressing room. After years of difficulty walking and communicating, Konstantinov has been making good progress. He is no longer bound to the wheelchair for getting around and has made numerous appearances at Red Wings and NHL events. Strengths: Zubov was a talented blueliner and one of the best powerplay specialists in the sport. He had outstanding vision and was a prototypical Russian defenseman – controlled, precise, and patient. Weaknesses: He occasionally made mistakes in the defensive zone and did not play a very physical game. His speed declined in his last few seasons. Biography: Born in Moscow, Sergei Zubov began his career in his hometown with the legendary Red Army team under the control of coach Viktor Tikhonov. Although Zubov was often in disagreement with his coach, his list of accomplishments was sizeable before he even joined the NHL. 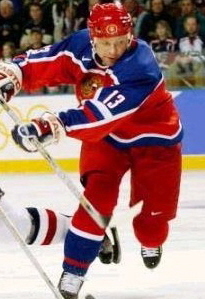 Besides winning the gold and silver medals at the world junior championships (1989 and 1990), Zubov became an Olympic champion in 1992. 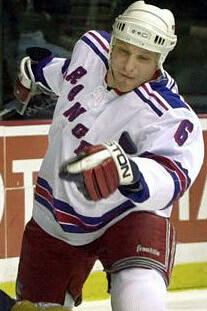 Zubov continued his career with a short stint in the American Hockey League before joining the rising New York Rangers. In his second NHL season he led his team in scoring with 89 points, making him the second most productive defenseman in the league that year. In 1994, Sergei became one of the first Russians to win the Stanley Cup. 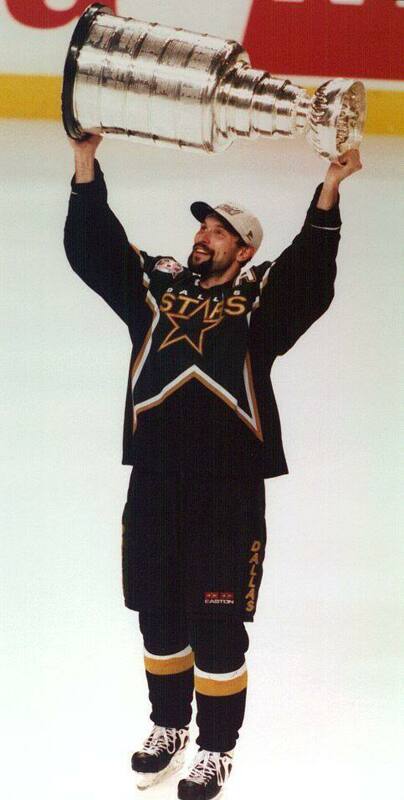 Zubov had another point-per-game season with the Pittsburgh Penguins two years later, but it was not enough to be kept on the team, and he was “stolen” by the Dallas Stars. Luck seemed to follow Sergei, and upon his arrival to Dallas, the then-average Stars became a contender. In the Stanley Cup-clinching game of the 1999 playoffs, Zubov played almost an hour of hockey and won the NHL championship for the second time in his career. Zubov has been a remarkably stable player in the NHL: he was the only active defenseman to post eleven consecutive 30-assist and 40-point seasons. In 1994, 1999, and 2000 he played in the NHL All-Star Game. At the age of 35, Zubov had his second-best season ever, justifying his place on that year’s NHL Second All-Star Team. Off the ice, Sergei’s passion is technology – he tries to learn all the latest high-tech gadgets. 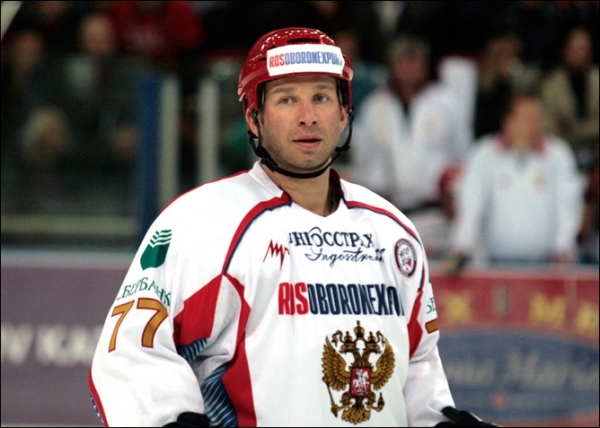 Zubov is a U.S. citizen and last played for Russia in a major international tournament the 1996 World Cup. 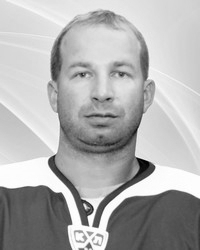 A hip injury at the end of 2008 cut short his NHL career and in the next summer Zubov decided to continue his career in Russia, signing with SKA St. Petersburg. On his new team, Zubov excelled and was the KHL’s highest-scoring defenseman in 2009-10. Sergei also joined Team Russia for a couple of EuroTour games. A hip injury then forced Zubov to miss the entire 2010-11 season and in April 2011 he announced his retirement from professional hockey.